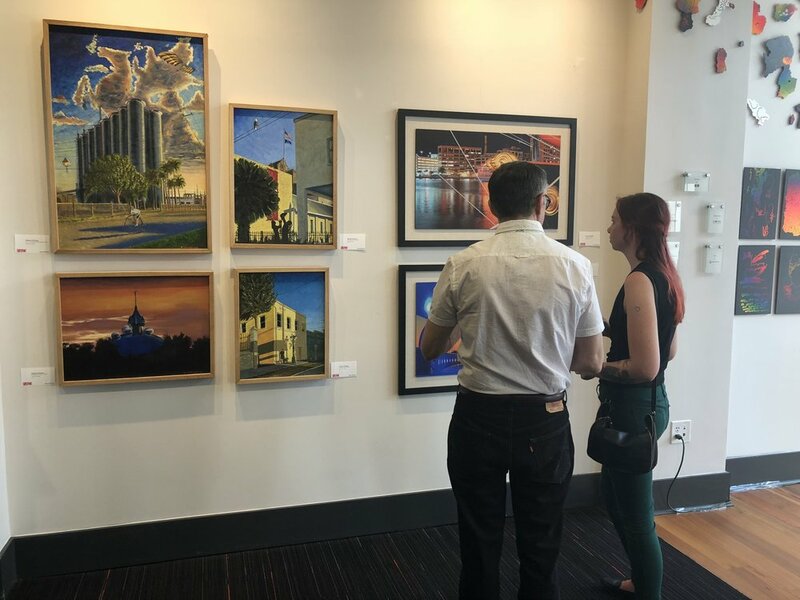 #GFA49 was a weekend packed full of the arts with more than 250 visual artists showcasing their work alongside performing artists in Curtis Hixon Park and Kiley Garden in downtown Tampa. The interactive installation by Tampa Bay Foundation for Architecture and Design was a great success! The show features built or theoretical pieces illustrating the engaging fields of architecture and art. Visual arts, furniture making, graphic design, sculpture, staging, welding, industrial design, video & photography. Tampa Bay Foundation for Architecture & Design & The Florida Museum of Photographic Arts (FMoPA) presented the annual 2018 Architectural Photography Contest. The top entries were exhibited at FMoPA September 1-30. Winners were announced during Fourth Friday Tampa on September 28. The Center for Architecture and Design hosted this special exhibit showcasing the work of local professional and amateur photographers; viewers has the opportunity to experience architecture through the lenses of these talented group. TBFAD partnered with Heart Gallery of Tampa, a local non-profit organization who represent local children in foster care. The exhibit showcased the amazing art creations by the talented Heart Gallery of Tampa Kids. An exhibit about Architecture’s relationship with nature, artificial landscapes and borders. The exhibit featured an array of art and architectural prints and models by USF School of Architecture and Community Design students. USF SACD Professor Josue Robles presenting on the process and the challenges faced by the students in designing the tiny homes. TBFA partnered with Celebrate Outreach, USF School of Architecture and Community Design, and AIA Tampa Bay to host the Tiny Homes for Homeless Veterans event. 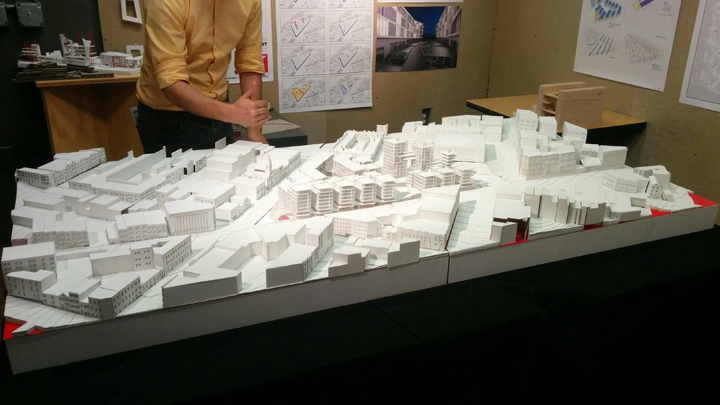 USF SACD students proposed prototype Tiny Home designs, one of which was selected. The students had the opportunity to speak about the inspiration, process, and research that made this project possible. The Proposals were exhibited through out the month of April to raise awareness about this effort. With the support of the community and sponsors, the event raised over $3,000 to support the building of sustainable homes for local homeless veterans. In partnership with AIA Tampa Bay and Fourth Friday, this exhibit showcased architectural images from the best Instagramers in Tampa Bay. The exhibit featured an array of art and architectural drawings and models by USF School of Architecture and Community Design students. Art and Architecture have never been so closely intertwined. This show featured built and theoretical pieces illustrating the engaging fields of Architecture and Art. In partnership with AIA Tampa Bay, this exhibit showcased the 2016 Design Awards entries. The Design Awards program recognizes excellence in design by the architecture profession.